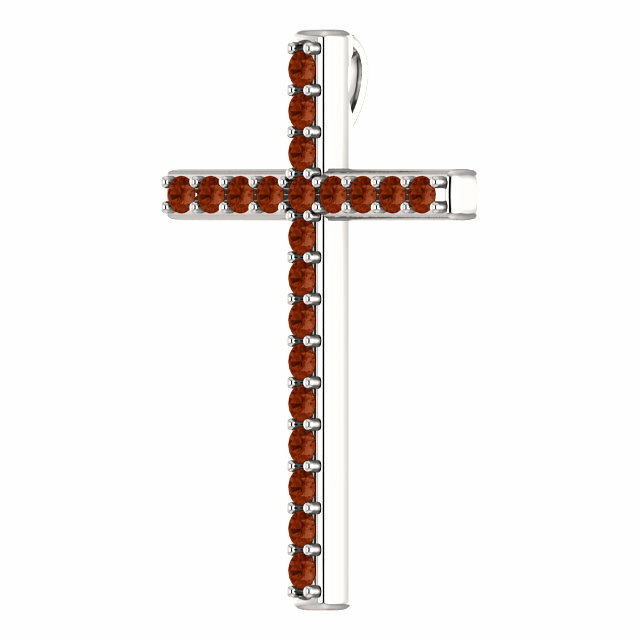 Red garnet gemstones are the feature of this quality white gold cross pendant with hidden bale. The cross reminds us of the wise words of King Solomon in the Song of Songs: "I am the rose of Sharon, and the lily of the valleys" (2:1). 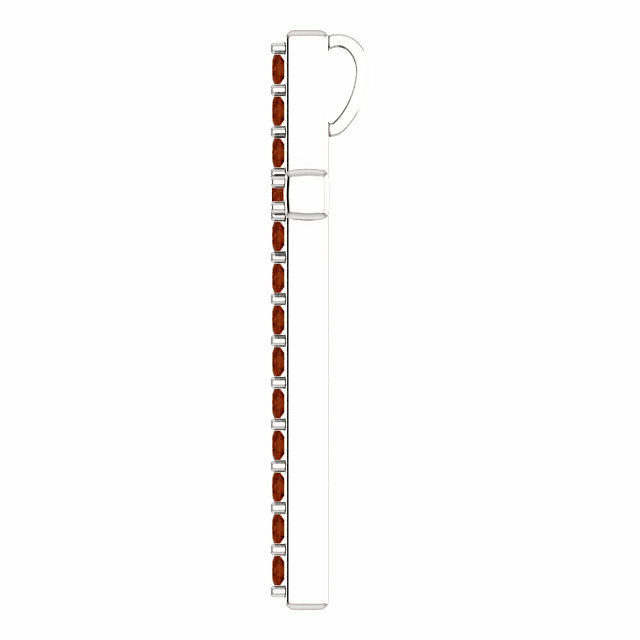 The pendant is set with 21 "AA" rated 2mm genuine dark-orange-red garnet gemstones in your choice of 10k, 14k, 18k white gold, or platinum (please allow 7-days additional time for platinum). Make it into a necklace by adding one of our white gold cable chains or wearing it with one of your own. The cross measures 1 1/4" x 0.85". Also available in yellow or rose gold or sterling silver, shown below. 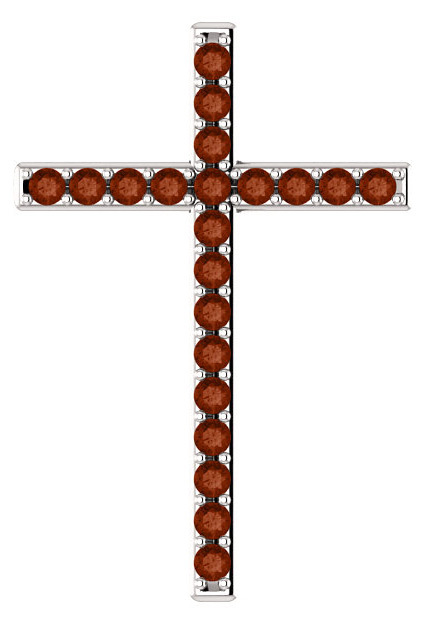 We guarantee our Rose of Sharon Garnet Cross Pendant in White Gold to be high quality, authentic jewelry, as described above.